The format in which your eBook is made available to eBook readers may vary from the ones supported by the electronic reader. This may be one of the reasons why readers may like to go back to the conventional way of reading printed books. So, if you are a concerned author or publisher who wants to multiply your book downloads, here is the solution. Simple, convert your eBooks into a compatible file type and grab more readers. 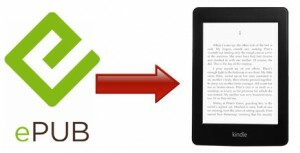 Wondering how to convert epub to kindle or mobi? IT Global Solution is your one-stop shop for file conversion to different ebook formats. We convert unprotected ePub to kindle or mobi format by maintaining as much formatting that is allowed as per Kindle formatting guidelines. In the eBooks section, ePub is one of the most modern formats and Amazon’s Kindle is one of the most used eBook readers. So, IT Global Solution helps you convert from ePub to Kindle. We can convert for you from any format, be it HTML, text, word, quark, or ePub, into a Kindle supported .mobi or .prc format. .
Manual process for conversion: The process used for conversion is manual and hence there is a better control on maintaining the formatting as well as meeting the Kindle conversion guidelines. Preferred vendor for Amazon: We are the preferred vendor for Amazon’s Mobipocket file format which is used for Kindle reader. 24*7 customer support services: We give utmost importance to our client, unlike some automated service providers who make you wait for days before replying to your questions. You can speak to us directly if you have any doubts. A chance to Review the file: After we convert the file, you get a chance to review the Kindle file before you submit it to Amazon. Guaranteed services: All the work that we undertake comes with a guarantee. So, in case you come across any problem, just feel free to contact us. We will be more than willing to help you out. How to convert ePub to Kindle or Mobi? Firstly, you have to email us the final unprotected ePub file. Once we review the file, we will inform you about the total cost for conversion to the Kindle file format. We will also provide precise details on the time required for conversion and conversion restrictions, if any, based on your output conversion requirements. After the payment is received by us, we will start the conversion process and also conduct a quality check after the conversion into the Kindle format. We will email you the file for your review on Kindle for PC or Kindle reader. We advice you NOT to use the Kindle previewer utility on their website as it does not display the file properly. If there are corrections required, you can send us the complete list of changes in one email. We will be more than willing to make the changes if needed, (as per Kindle conversion standards) until you are satisfied with the final output. Please email your *book file to Bob@itglobalsolution.com We can receive attachments up to 15 MB. If the size of the book is larger than 15MB, you can send it through free service of www.yousendit.com OR upload it to our FTP server. Please contact us for a login and password. If you have any queries, feel free to contact us at Bob@itglobalsolution.com or call Bob at Supremus Group at (515) 865-4591.
www.itglobalsolution.com is a recommended conversion partner for Amazon’s Mobipocket file which is used for Kindle reader . Therefore, if you associate with us, you are guaranteed the best Kindle conversion services. Whether you want to convert PDF to Kindle, XML to Kindle, Word to Kindle, Printed book to Kindle, HTML to Kindle or Scanned book to Kindle, we will make it possible for you. We can convert from any format to the Kindle file format or to the format of your choice. Your eBook conversion solution is just a phone call away. *We convert epub to mobi/kindle books for authors, publishers and copyright owners only. If the book is no longer copyright protected please provide us with the full publication details.